Since he announced his return date, Kampala Metropolitan regional and divisional commanders have been holding meetings since Monday to plan the deployment plan for policing the legislator’s return. More than 1,000 people are anticipated to flock Entebbe road to welcome back Bobi Wine who commands a huge following among the youth. A source in police said that the meetings resolved to use Anti-riot Police backed by Military Police as the first line of deployment along Entebbe road, Kampala Central Business District, Kamwokya (Bobi’s childhood residence) and Kasangati (Bobi’s domicile). The highest level of manpower is to be put on the Kampala-Entebbe highway where people may gather to see Bobi Wine. 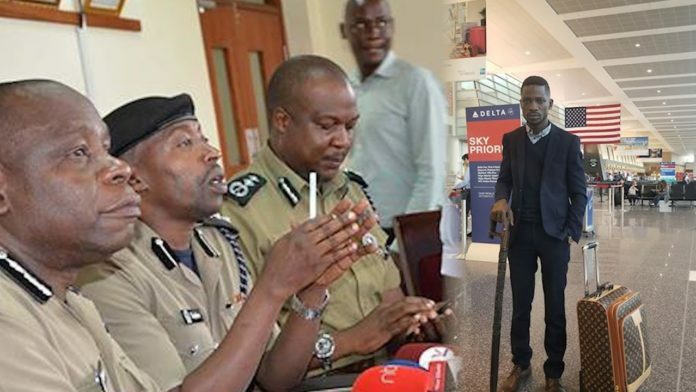 Police says Bobi Wine hasn’t sought any clearance to hold a procession or an assembly in line with the Public Order Management Act (POMA). Kampala Metropolitan police spokesperson, Luke Owoyesigyire warned that whoever takes part in the procession will be arrested. “There’s no clearance whatsoever – but the law is very clear that; if anyone is planning any procession, they should seek clearance from police. And if you don’t get, anything you do after that shall be arrested.” said Owoyesigyire. 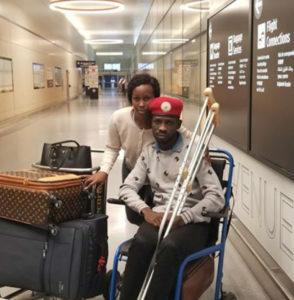 Bobi Wine in a video posted on his Facebook, accused government of planning to stir chaos so that they can taint People Power followers as being violent. According to Bobi, some people are printing some 20,000 red People Power t-shirts to be handed to ‘state criminals to cause chaos and make it appear that they are his supporters. He said much as People Power encourages assertiveness, its followers detest violence. The legislator claims that he was brutally tortured during arrest at Hotel Pacific in Arua on the final day of the Arua municipality by-election campaigns. He was arraigned before the General Court Martial sitting in Gulu for illegal possession of firearms, a charge that was later dropped. He was again re-arrested and charged at Gulu Magistrate’s court with treason together with 32 other suspects and remanded to prison for one week before being granted bail.